Le Chai Winemakers: What a week that was! 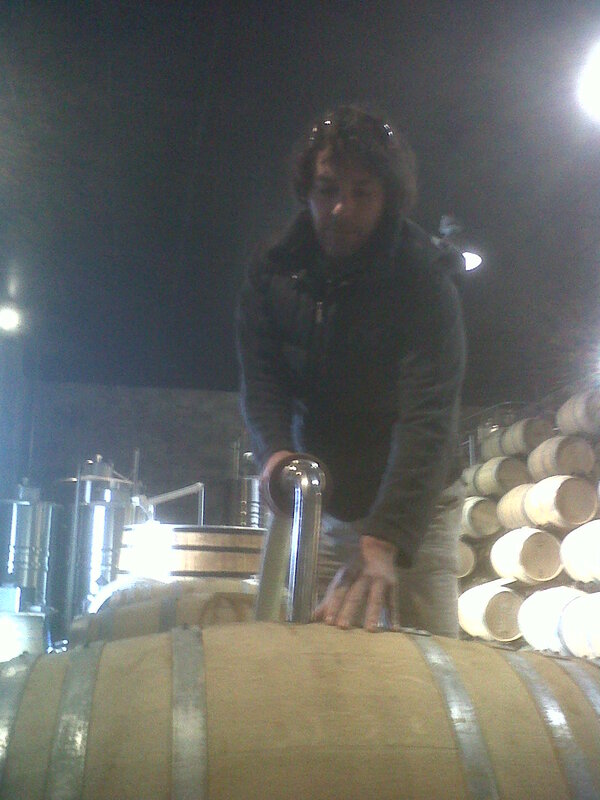 This week Denis and I have racked 250 barrels, blended and stabilised the 2010s including Un Vent de Folie Vermentino, the all new Marsanne/Roussane, GG, Le Grand Chai Bordeaux Blanc, the JMS and the VC. Harvest is thought to be the busy time but in fact, it doesn’t really seem to slow down at all. Once again the Chai was turned upside down during the week, hoses, barrels and pumps everywhere. ‘Petit’ Denis was on fine form and moving around the Chai rather like Droopy the cartoon dog: every time I got to somewhere whether it be the top row of barrels six deep in, or down at the bottom of a vat the other end of the Chai, he was there waiting! Just for good measure I also managed to bottle the 2010 Laithwaite Sauvignon Blanc! Next up this week is the JMS and the VC so plenty of wine heading your way very soon indeed. I'll let you make your own minds up about the 2010 vintage which I can assure you was a triumph here at the Chai. The 2010 Sauvignon Laithwaite got the first test ‘chez moi’ on Sunday. 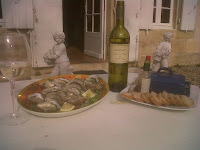 Outside on the terrace with what for Libby and I is simplest and best accompaniment to do this wine justice: fresh oysters from the Basin d’Arcachon, bread, butter and a lemon! I am off to the UK first thing tomorrow to present Le Chai wines at the Lincoln tasting. I am showing some very exciting wines and I’m looking forward to seeing some of you there!